This year Yerevan Jazz Fest was full of incredible impressions and concerts. It was opened by the world famous Cuban trumpet player, pianist and composer Arturo Sandoval. 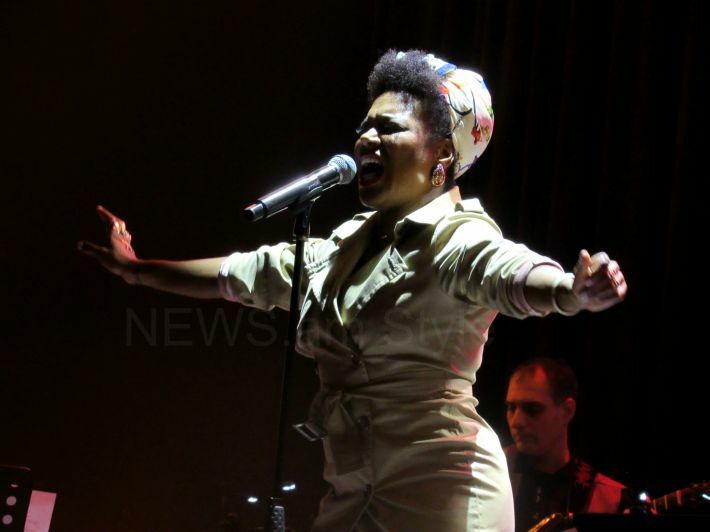 Yesterday, music lovers have been blessed by the performance of the magnificent Parisian singer China Moses. Moses is the daughter of the great Dee Dee Bridgewater, who also performed in Yerevan at the 2016 Yerevan Jazz Fest. A 16-year-old Moses released her first single «Time», along with her first video directed by Jean-Baptiste Mondino. The singer beame well-known after the release of the songs «China», «On Tourne en Rond» and «Good Lovin». She released her albums in collaboration with the Swedish production company Breaking Bread and with celebrities such as DJ Mehdi, Diam’s, Carrie Lee Riggins, Guru, Anthony Marshall. China Moses performed both old and new works today accompanied by the State Jazz Orchestra. The orchestra was conducted by Armen Usnuts. The singer got the audience with a pure, crystal sound, as well as with mood and emotions that music lovers couldn’t possibly forget. The evening was fulfilled by the famous bassist, cellist Artyom Manukyan, residing in the USA. Artyom is a real professional, an intelligent musician, whose works always hit the heart. The NEWS.am STYLE correspondent was present at the concert and shared the most striking parts of the event. The State Jazz Orchestra marks its 80 anniversary this year, and that is why the current Yerevan Jazz Fest is dedicated to the memory of the founder of the ensemble, conductor Artemy Ayvazyan.